STATE HOUSE – Legislation that provides for the eventual removal of all cesspools in the state has been signed into law by Gov. Gina Raimondo. The Senate bill (2015-S 0369A), introduced by Sen. V. Susan Sosnowski (D-Dist. 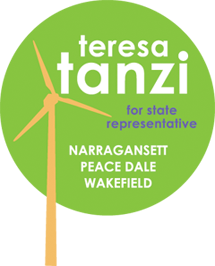 37, South Kingstown, New Shoreham) and the House version (2015-H 5668A) introduced by Rep. Teresa Tanzi (D-Dist. 34, South Kingstown, Narragansett) amend the Rhode Island Cesspool Act of 2007, including replacing individual sewage disposal systems with onsite wastewater treatment systems and would require cesspool removal or replacement upon the transfer of the property where the cesspool is located under certain circumstances. The old law required the phase-out of cesspools located within 200 feet of a shoreline, wetland or drinking water supply. The new law provides for the eventual removal of all cesspools beyond these 200 foot boundaries. An onsite wastewater treatment system is any system of piping, tanks, disposal areas, alternative toilets or other facilities designed to function as a unit to convey, store, treat and/or dispose of sanitary sewage by means other than discharge into a public sewer system. The legislation provides flexibility when it comes to the responsibility of replacing the cesspool at the point of sale, leaving it to agreement whether it will be the responsibility of the buyer or the seller. Representative Tanzi said the cost to homeowners, which averages $12,000, has long been the sticking point that has prevented the state from eliminating all cesspools in the past, but making the requirement triggered by the transfer of property provides more financing opportunities. The Clean Water Finance Agency also has two low-interest financing programs to assist homeowners: the Community Septic System Loan Program to replace the cesspool and the Sewer Tie-in Loan Fund for connecting to sewers.